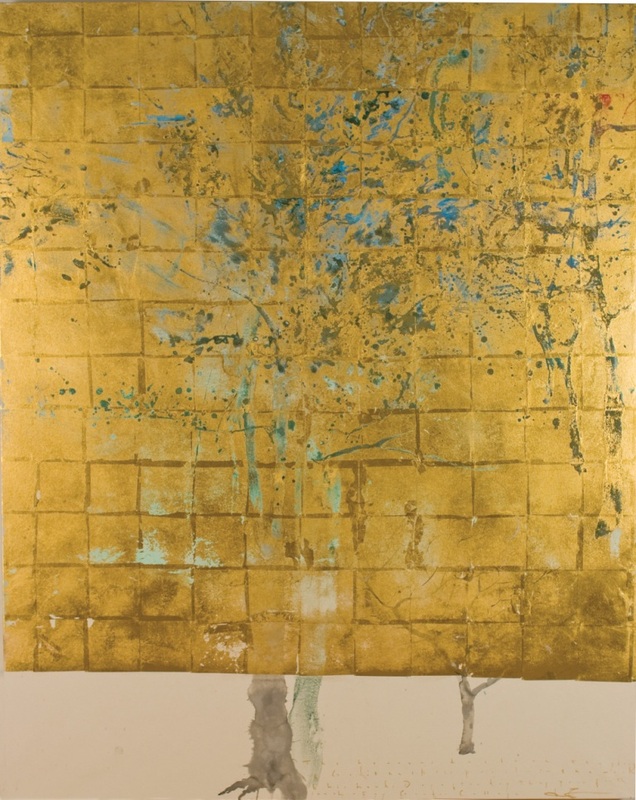 The painting is fairly large (48x60 inches, 122x152 cm) and is almost entirely covered by thin squares of gold leaf. We associate gold with spirituality and eternity; it reminds us of the golden backgrounds of icons and illustrated manuscripts. Fujimura uses layers of gold and vibrant, earth-bound colors. Alternatively, they hide and reveal each other. - Objects of Grace: Conversations on Creativity and Faith, James Romaine (Baltimore: Square Halo Books, 2002), p 150-173. - English Standard Version of the Bible, to be released by Crossway in January 2011 to commemorate the four hundred year anniversary of the King James Bible, will have five works of Fujimura illustrating the four gospels.